The Turn of the Century | Проект "Русский музей: виртуальный филиал"
An interesting aspect of Russian art at the turn of the century was its revival of interest in Russian history. Not only historical subjects, but fairytales, legends and artists’ fantasies on themes from national history also became the subjects of pictures. 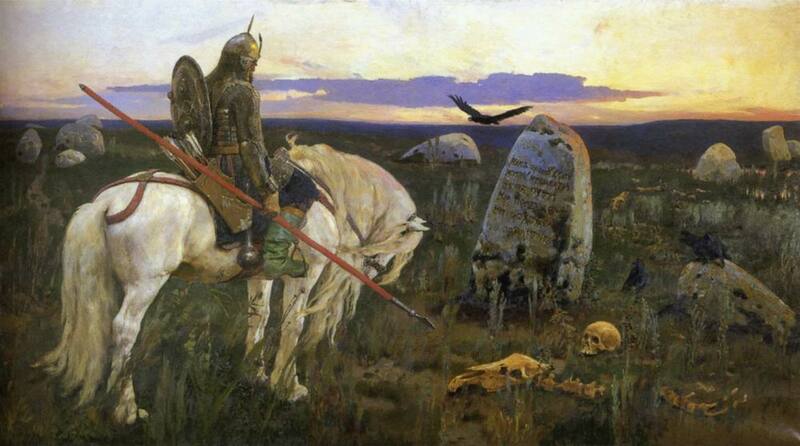 Knight at the Crossroads (1882) by Victor Vasnetsov (1848–1926) belongs to Russian epos. Seventeenth-Century Moscow Street on a Public Holiday (1895) and Seventeenth-Century Merchant Family (1896) by Andrei Ryabushkin (1861–1904) are compositions on themes drawn from life in the Russia of the seventeenth and eighteenth centuries. Ryabushkin’s humorous treatment of the Russian way of life stands in light contrast to the pathos commonly encountered in history works. 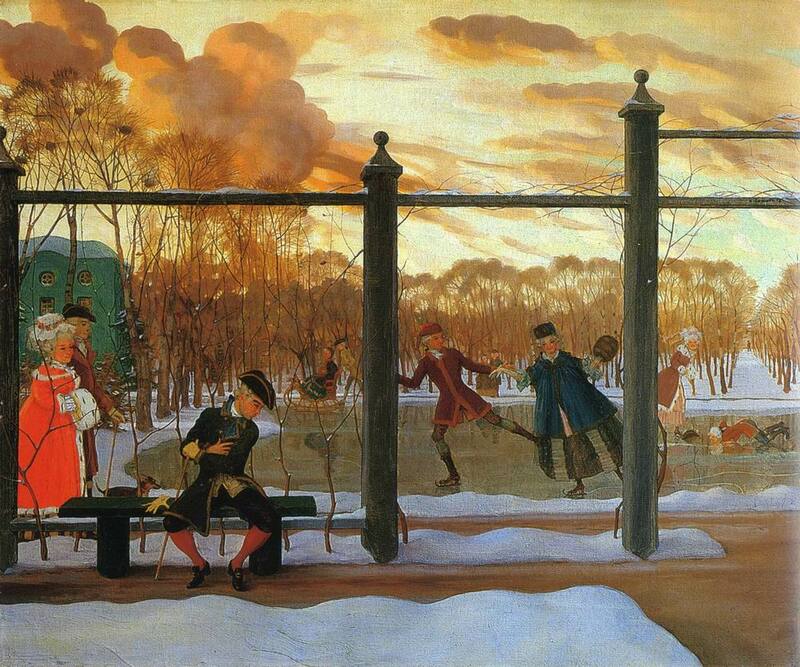 This renewed interest in Russian life later told on the art of other masters. 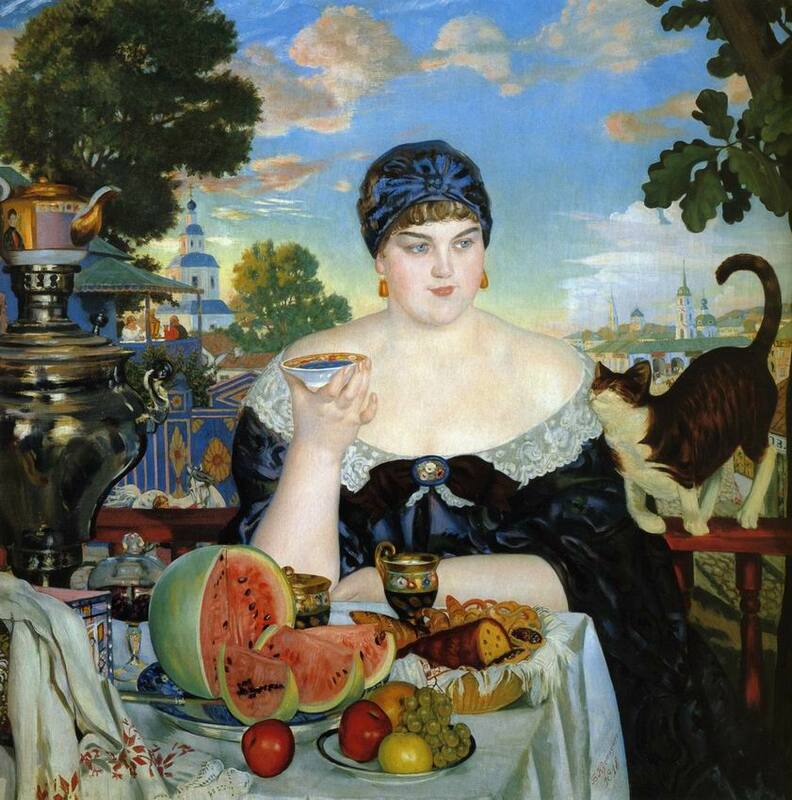 Boris Kustodiev (1878–1927) portrayed the lavish lifestyle of the provincial merchant class (Merchant’s Wife 1915, Shrovetide 1916, Merchant’s Wife at Tea 1918). Philipp Malyavin (1869–1940) created exotic images of the early twentieth century Russian peasantry. Clothed in bright shawls and sarafans, they went down in Russian art history as the Malyavinskiye babi (Malyavin’s peasant women). 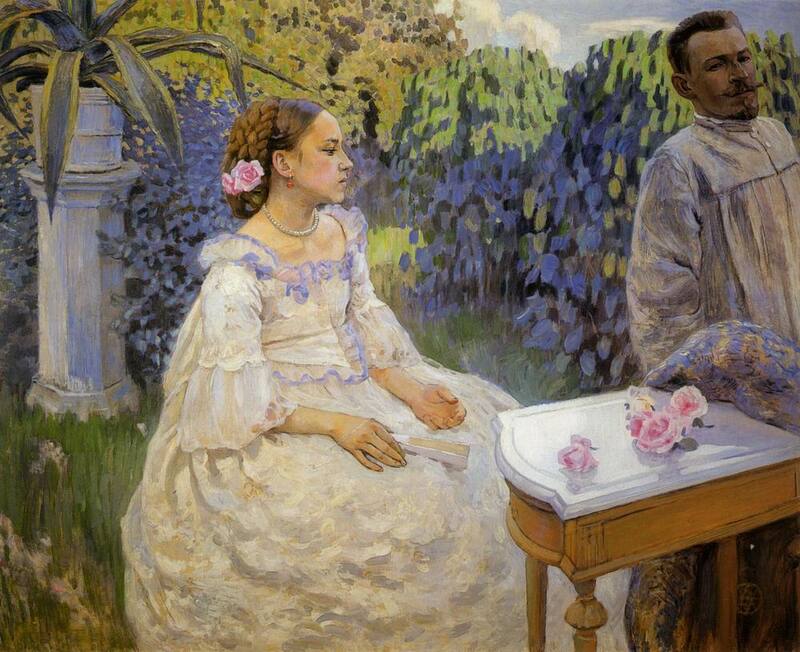 Like Valentin Serov, Mikhail Nesterov, Boris Kustodiev and many other twentieth-century masters, Mikhail Vrubel (1856–1910) began his career at the end of the nineteenth century. 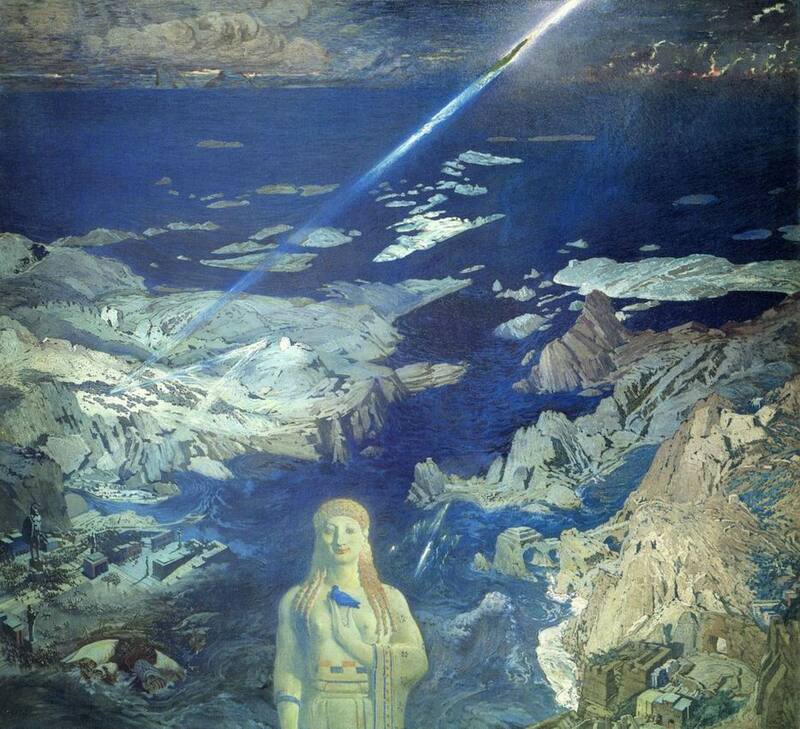 He found inspiration in Russian fairytales, traditional heroic poems (Bogatyr 1898) and works of literature (The Demon). The one important difference, however, was in his interpretation of these motifs. Vrubel’s artistic tongue and images went beyond that which was traditional for the nineteenth century. The hypertrophically exaggerated figure, highly decorative landscape and untraditional format differ Bogatyr from other works based on fairytale themes. 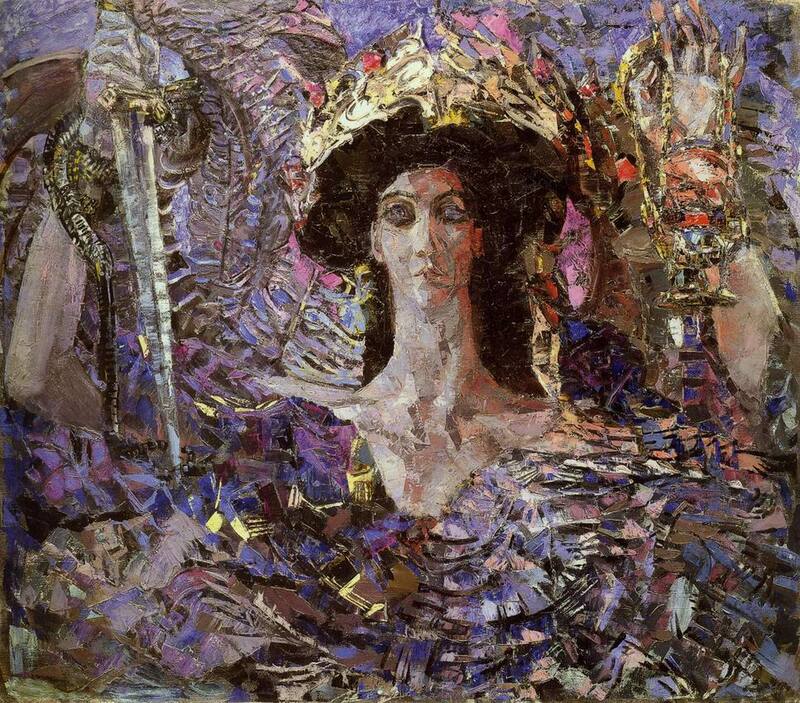 Vrubel’s construction of form through brush-strokes in his mosaic Six-Winged Seraph (1904) broke new ground in the representation of the real and imaginary world. Vrubel destroyed all classical notions of form and composition. Vrubel was a well-educated artist who gave new meaning to many literary heroes. One of them was Lermontov’s “demon”, which Vrubel believed was often wrongly mistaken for the chort (“horned” in Greek) or devil (“slanderer”). Demon in Vrubel’s translation means “soul”. The image of the “demon” is one of the central themes in Vrubel’s art. Sitting Demon (1890) and Fallen Demon (1902) belong to the Tretyakov Gallery. The Russian Museum possesses several illustrations to Lermontov’s poem, as well as Flying Demon (1899). Like many other of Vrubel’s works, Flying Demon is associated with the ideas of Symbolism. Incarnation of the spiritual and creation of a new language of symbols was a typical feature of the art of the turn of the century. Vrubel’s demon is “mournful and melancholy … imposing and imperious”. Its outstretched figure soars above the earth, burning eyes scrutinizing the world below. The indeterminate form, intricate colours and unusual composition set this work and many other of Vrubel’s canvases apart in the history of Russian art. Valentin Serov (1865–1911) was a close friend of Mikhail Vrubel. Both studied in Pavel Chistyakov’s studio at the Moscow School of Painting, Sculpture and Architecture. Although principally a portraitist, Serov did not confine himself to this genre. He also painted poetic landscapes (In Winter 1898) and history compositions (Peter II and Princess Elizabeth Riding to Hounds 1900). Serov both followed and developed the classical line in Western and Russian painting, adding typically Impressionist quests in colour and light. The most brilliant aspect of Valentin Serov’s art is his portraits, which come in various sizes, colour schemes and compositions. The artist was merciless when painting his models. Lavish settings and expensive clothes could not mask his feelings towards the subject. Zinaida Yussupova (1902), Felix Yussupov (1903) and Olga Orlova (1911) all appear cold and haughty in their official portraits painted by Serov. Olga Orlova was so displeased with her portrait — a true masterpiece by the artist — that she lost no time getting rid of it, presenting it in 1912 to the Alexander III Museum (now the Russian Museum). In 1907, Serov travelled to Greece with Leon Bakst (1866–1924). This journey brought a decisive influence to bear on Serov’s art, for after it he turned to archaic art, reliefs and the murals of Greece and Egypt. Towards the end of his short life, Serov created several works in a completely new style, such as Portrait of Ida Rubinstein (1910). Ida Rubinstein was a dancer with Diaghilev’s Ballets Russes. 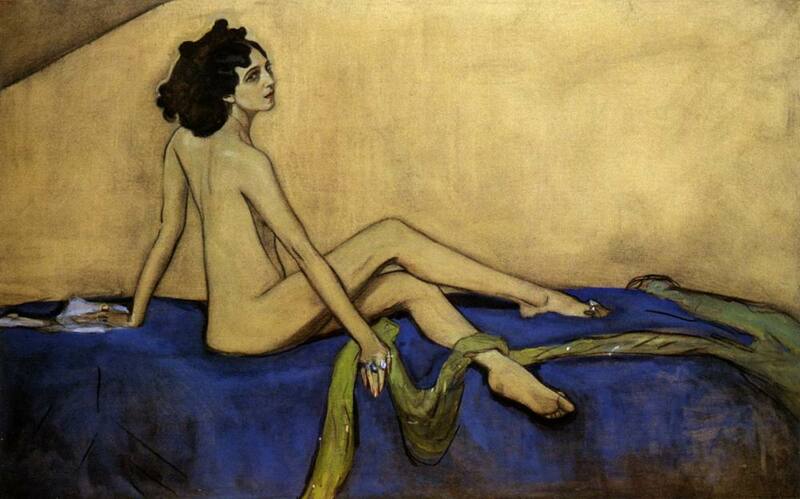 Serov depicts her naked, with a complete lack of idealisation. If anything, he exposes and accentuates the sharp, angular forms of her body. The picture is like a poster or a mural, terse in colour and outline. Serov spurns details and surrounding environment, concentrating all his attention on the eurhythmics that capture the true spirit of Ida Rubinstein. Konstantin Korovin (1861–1939) was a follower of the Impressionist line in art and a close associate and contemporary of Serov and Vrubel. He painted landscapes and still-lifes, as well as theatrical designs, decorative panels and portraits. Korovin preferred to paint the portraits of people with whom he was already well acquainted. One such model was Tatyana Lyubatovich (1880s), an opera singer who sung in performances staged at Savva Mamontov’s private opera house. Korovin, Vrubel, Serov and other artists were often guests at Mamontov’s estate in the village of Abramtsevo. By the end of the nineteenth century it had become a major centre of the arts and haunt of writers, painters and artistes. It was here that Korovin first met Lyubatovich. Her portrait is more than just the representation of an individual. Under Korovin’s brush, Lyubatovich becomes an image for femininity, youth and inspiration. 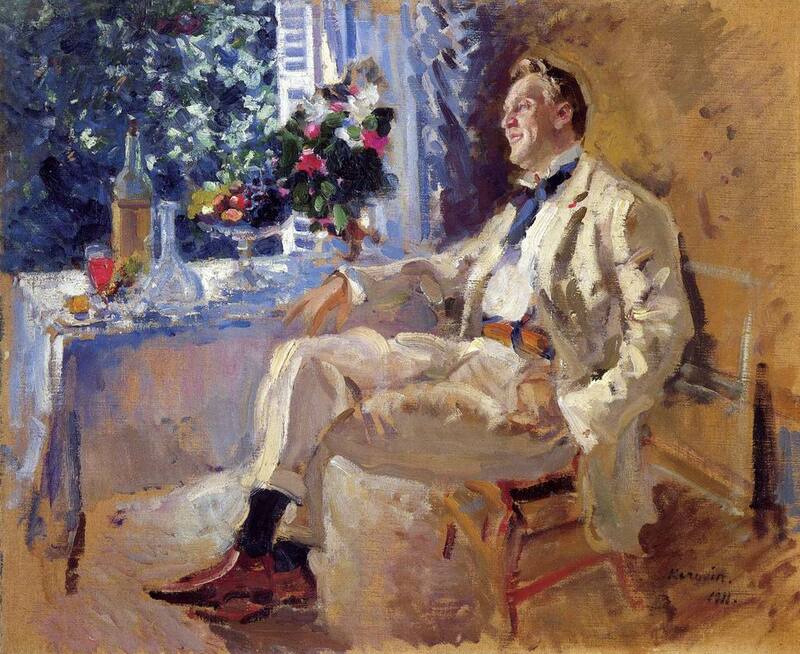 Fyodor Chaliapin, the famous singer, was also a friend of Korovin’s. Korovin painted his portrait in 1911, depicting a lively and contented individual. 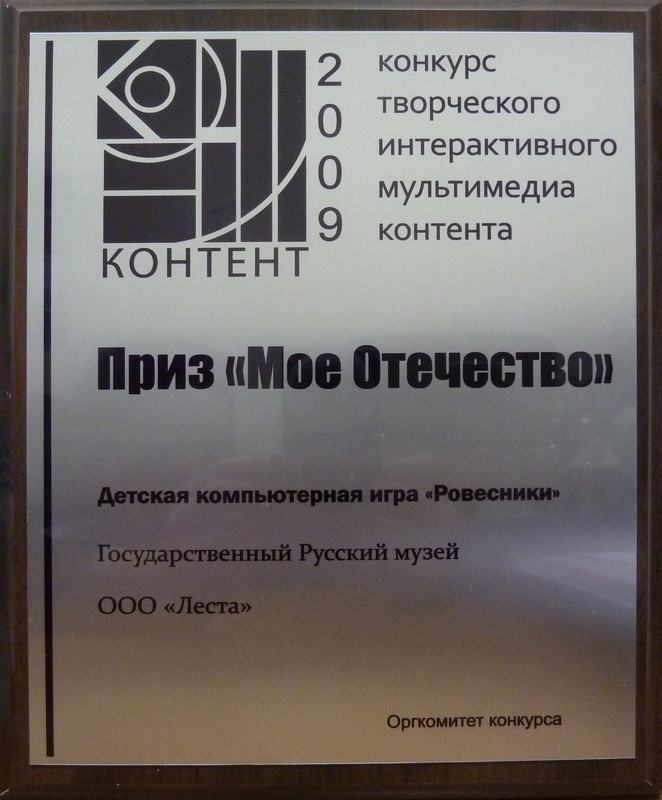 An association which took its name from the periodical it published — World of Art (Mir iskusstva) — played an important role in Russian culture at the turn of the century. The history and way of life of Holy Russia and eighteenth-century Europe were themes developed by Alexander Benois (1870–1960), Yevgeny Lanceray (1875–1946), Mstislav Dobuzhinsky (1875–1957) and Konstantin Somov (1869– 1939), all of whose works are well represented in the collection of the Russian Museum. 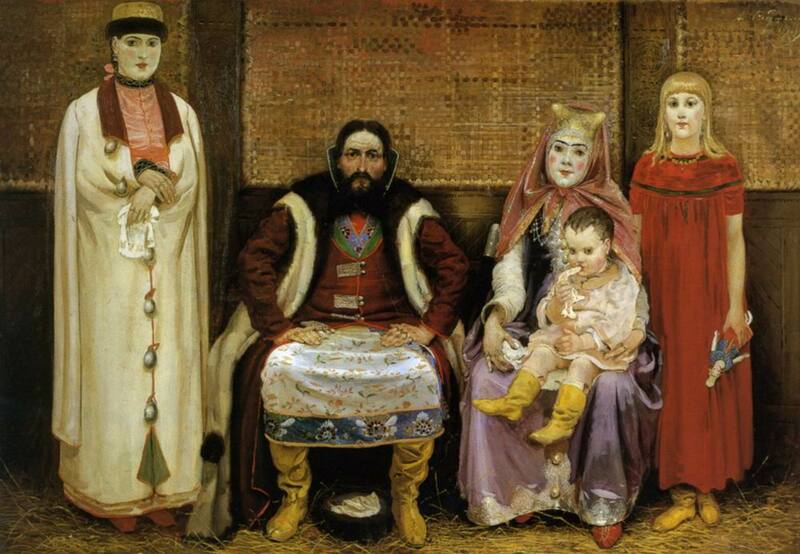 These artists did more than just bring gallantry and refinement together with humour and the grotesque in Russian art. 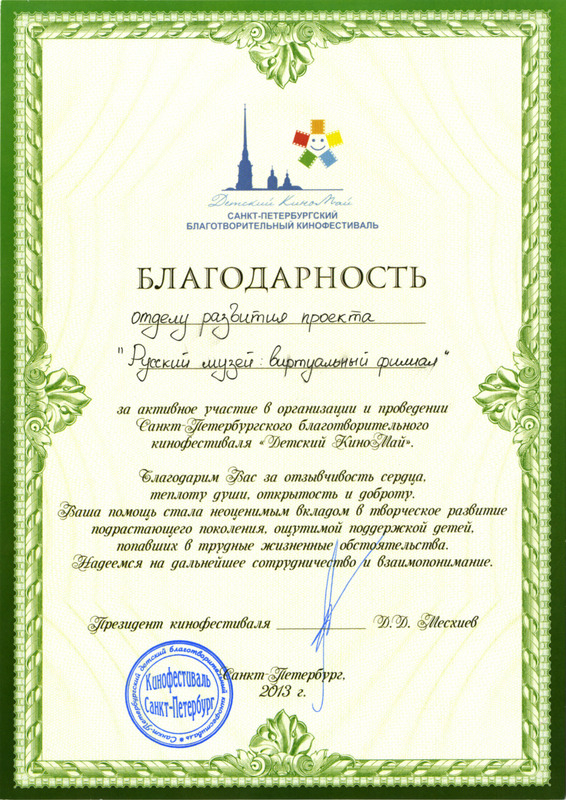 They also extended the borders of the active participation of leading masters in the art process. The design of book covers and stage sets (particularly for Diaghilev’s Ballets Russes) became one of the most important activities of the members of the World of Art group. 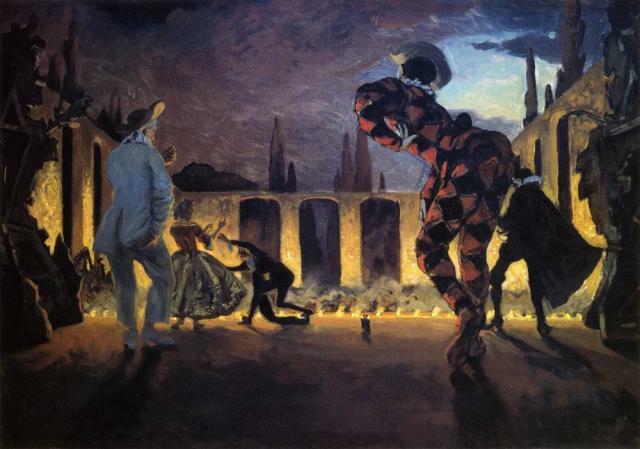 Theatrical passions clearly reflected on the stylistics of easel art in the works of masters who helped design stage sets, artists like Leon Bakst and Alexander Golovin (1863–1930). Golovin depicted Chaliapin in the role of Boris Godunov in Mussorgsky’s opera of the same name. As in his other works, elements of theatricalisation and the stylistics of curtains and costumery predominate. Bakst’s Terror Antiquus (1908) is also reminiscent of an enormous curtain. The same can be said of his portraits (Supper 1902, Portrait of Sergei Diaghilev and his Nanny 1906), which while not entirely traditional, are still painted in the spirit of easel compositions. Following on from the World of Art, other groups of artists began to appear in Russia, each of them with its own programme and direction. Victor Borisov-Musatov (1870–1905) headed an association going by the poetic name of the Blue Rose. His light-toned and lyrical works feature a departure from reality into the world of reverie and day-dreams. The works of Pavel Kuznetsov (1878–1960) — still-lifes, portraits in landscapes and romantic oriental scenes — are close in tone to those of Borisov-Musatov. Oriental themes were prominent in the works of many artists working at the start of the twentieth century. The brightest of them was Nicholas Roerich (1874–1947), a pupil of Repin and then Kuindzhi. Roerich had a deep interest in history, philosophy and travel, sailing around the Great Water-Way as a young man (1899). Pictures of the Russia of the past had then sprung up in his imagination. Drawing on impressions gained from his travels, Roerich painted a cycle of pictures dedicated to Rus’s Varangian period (Overseas Guests 1902). In 1923 Roerich went on an expedition to Central Asia, after which he founded a scientific research institute in India to study the Himalayas. A whole series of Roerich’s works are devoted to these mountains and he spent the last years of his life in India. 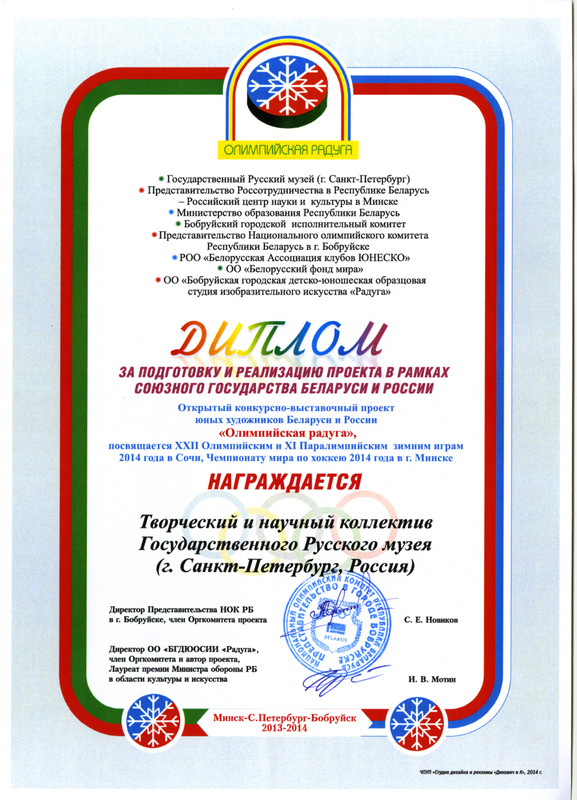 When in Russia, he presented the Russian Museum with his enormous heritage of some two-hundred works. Neoclassicism — or Neoromanticism, as it is sometimes called — was another of the highly original phenomena of early twentieth century Russian art. At a time when innovative explorations in form were very much in vogue, artists like Alexander Yakovlev (1887–1938), Vasily Shukhayev (1887–1973) and Zinaida Serebryakova (1884–1967) sought inspiration in the works of medieval and Renaissance masters. They were to a certain extent following a path similar to that of the Pre-Raphaelites. Modern subjects are lightly stylised in their works in imitation of the painterly and plastic tongues of their great predecessors. Interest in the Russian theme is a feature of the works of Serebryakova and Boris Grigoriev (1886–1939). A widespread phenomenon at the start of the twentieth century was a return to Russia’s national roots. 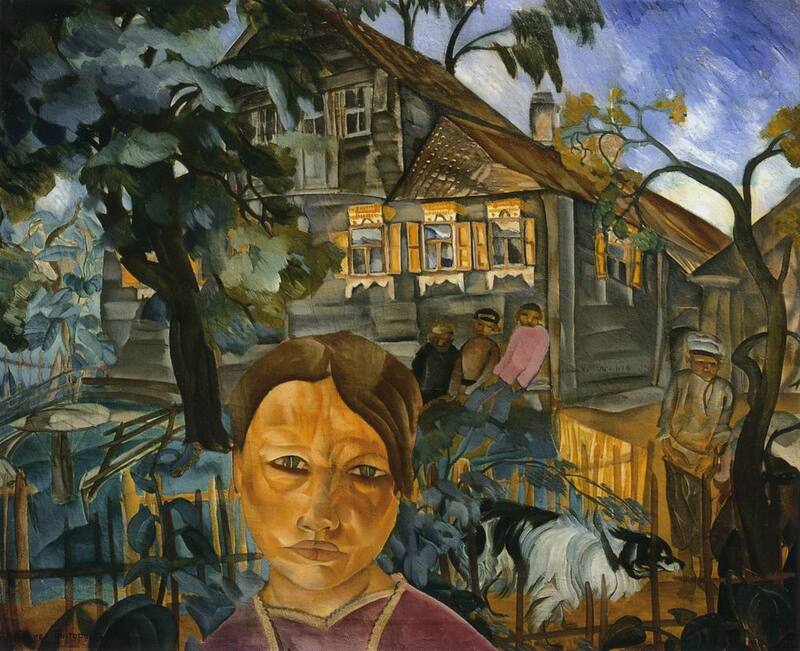 The bright and vivid works of Mashkov, Lentulov and Konchalovsky invoked folk motifs and traditions and were displayed at exhibitions alongside the pictures of Boris Kustodiev, which poked fun at the merchant class, and the philosophical meditations on Russia of Mikhail Nesterov (1862–1942). 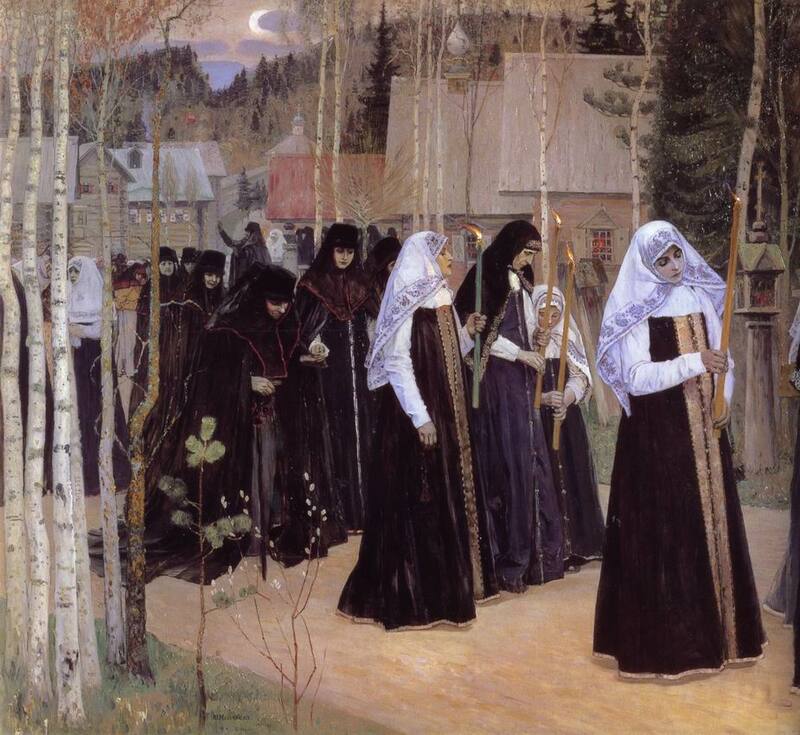 Nesterov’s images glorified the ascetic life of hermits and the common spirituality of those who have withdrawn from modern life. Kuzma Petrov-Vodkin (1878–1939) passed from a period of interest in French Symbolism to deep delvings in Russian themes and searches for national means of expression in the 1910s. His sources of inspiration were Russian icons, with their predominance of red, and the Russian countryside, with its blue sky and green expanses. 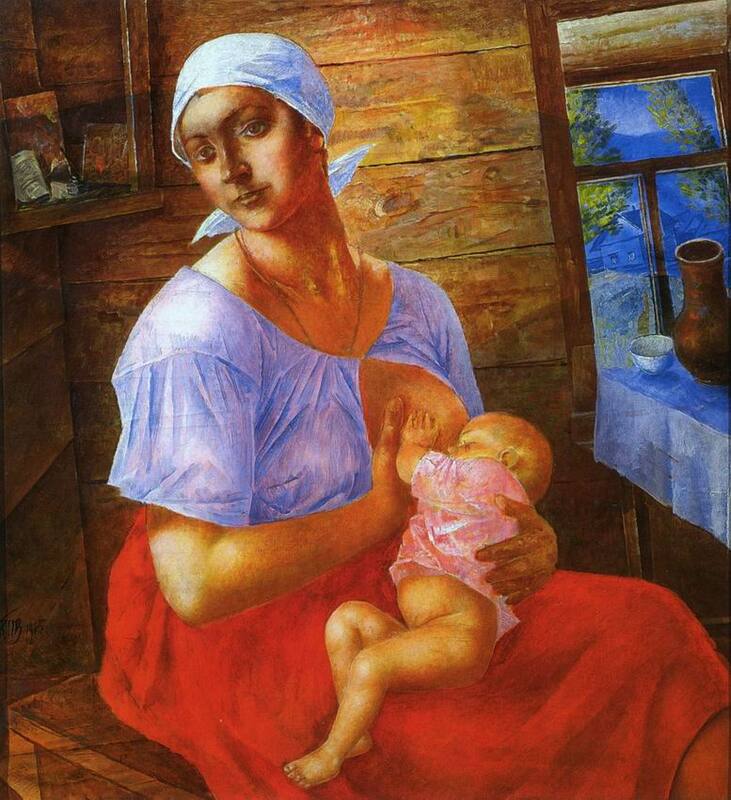 Petrov-Vodkin’s works are diverse in genre, composition and content. His severe, almost ascetic still-lifes, portraits, genre compositions and thematic representations of military events are similar to icons and linked to the history of Russia and events taking place in it.